Geeks Fish Too: What will you be remembered for? Ok, so maybe he was having a midlife crisis and maybe he wasn’t, but it made me realize that most of us have nothing exceptional in our lives that will be remembered beyond a couple years from now. How many of us work in technology? I do, Heath does, and so do many of the rest of you. Is that what you want to be remembered for? “He was a great coder.” they will say… or will they? Who gives a rip about what kind of code you wrote 5 years ago let alone many years more than that. All of you will likely agree that it’s rare that any aspect of Information Technology will be remembered any length of time past the usefulness of the product mentioned. In other words, unless you are Bill Gates and make the assumption in public that no one will ever need more than 512k of RAM, you are not going to make a lasting impression anywhere in IT. We work and work and work and… NO! There’s more to life than working. Most if not all of you understand this since you are here because you like to fish. There IS at least that much you will be remembered for. 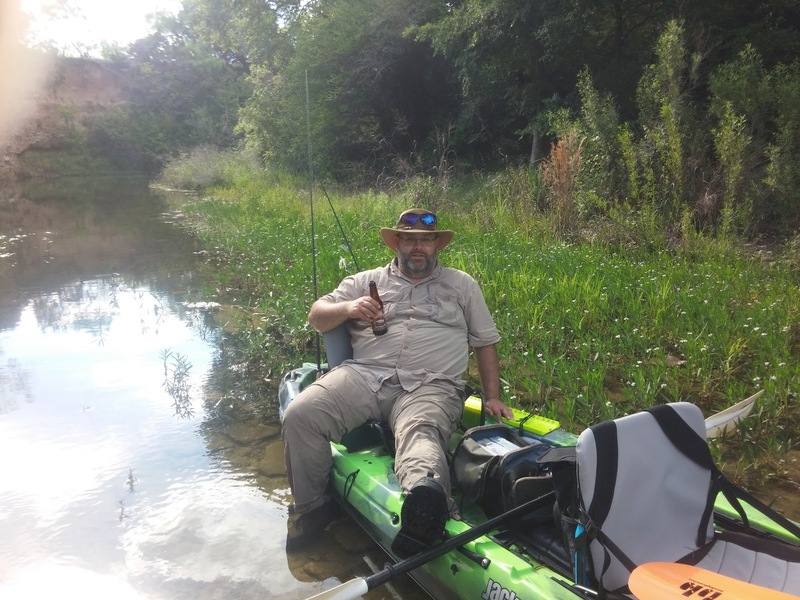 Your descendants may look back and say “Yeah, my grandpa/grandma was one of those who used one of the first angler kayaks!” That’s at least SOMETHING. But there’s more to life than even that. We go to work. We complain that work stinks. We complain that it’s not very engaging. We complain that we won’t be remembered for IT. Yet we do nothing about it. This is not right. It’s about time we get off our duffs and did something about it! There is no excuse for most of us to continue working in jobs that are not fulfilling. Many of us KNOW that we should be doing something else. Heath P. from Yak-Tribe.com is a good example of this. He’s powering his way into another career – one that he will love and enjoy. I’m trying to do the same thing. I’m no longer content to sit around studying for the latest certification only to have the test changed just before I go to take the test. This world is different than the world our parents grew up in. For many of us, our parents lived ordinary lives working out an existence in a vibrant economy with plenty of opportunity. And it’s great that they were able to retire the way they did. But I for one am not going to work till I drop and “Then I’ll go travel around the world”. We live in a world where millions can be made from your living room and a computer. Most of us are well versed in social networking and other means of internet based communication. Yes, it’s hard to get things off the ground but there’s no excuse for not trying. If you work hard at getting a small business off the ground now, it could be supporting you when you’re 65. And who needs social security when you have your own company supporting you? I was not always this way. My friends who I’ve made over the years would be shocked at my attitude now. This new mindset I’ve acquired over the past year has been long in coming but I rarely spoke what was in my head because I felt I would be laughed at. It wasn’t until I started working at my current job that I realized that these “Crazy thoughts” I was having were because I was starting to see that my life was really a waste of time! My buddy who asked me that infamous question was the one who started me thinking. He followed through on his question and got into nutrition and eventually got a 4 year degree in alternative medicine. He’s still not using it the way he wants, but it started him on a new path and he’ll never be remembered as an IT guy ever again. So are you going to live the “factory” life? Are you going to go sit under fluorescent lights all day and go home to your TV with the occasional trip in your kayak? I encourage you to look at life differently. What would you do if you could no longer work in technology? Do you have any other skills? If so, why aren’t you using them? If not, NOW is the time to learn! – Of course I have to say first that the Bible is the most influential book in my life. It was through it that I learned how to live and why I started questioning the Rat Race life I was living. There was one particular phrase that stuck with me: Every man shall sit under his own fig tree. This was clear to me that this man OWNS his OWN fig tree and he must have EARNED the right to sit under it. Think about that. – One of the most important books that I read recently is “Procrastinating on Purpose” by Rory Vaden. This book galvanized my thoughts in the realm of getting rid of the garbage tasks that I thought were important. A must read for anyone who likes to help people and doesn’t know where to stop! – Take the Stairs is another book by Rory Vaden. I’m nearly done with this book and I can tell you, this book hits me hard. I’ve had my times in life where I can say I am/was downright LAZY. Well, there’s no laziness when success is involved. “Sacrifice is a daily down payment on a future blessing.” Success is not owned, it is rented, and the rent is due every day. – The ONE Thing: This book is by Gary Keller from Keller Williams Realty. The main theme of this book is “Time Blocking”. EVERYONE can benefit from the ideas in this book. What is the ONE THING you can do right now that will make everything else easier or unnecessary? – And finally, for those of us who need a good pep-talk on a regular basis: The 4 Hour Work Week. This book is all about “Dreamlining”. It’s a great read though somewhat impractical. HOWEVER, if you have trouble thinking outside the box, you MUST read this book. And for that matter, you won’t realize how much trouble you have in this area until you read the book! I should mention that this last book is casual reading and that some of the language is a tad strong so caution is advised. Check out some of these books, but I’d have to say outside of reading the Bible, if you are only going to read one book, read “Take the Stairs”. You probably won’t like it because it’s going to offend your sensibilities when it comes to hard work. But most of us need a good swift kick in the seat of the pants. A Challenge to see how big you all are thinking: What is YOUR dream? Are you acting on it? What are your accomplishments so far? Keep fishing. Keep dreaming. ACT on those dreams.